Learning to drive in Kenley can be very tricky with all the hills and the busy Godstone Road. Our driving school’s friendly and experienced driving instructors are local. They will know the perfect quiet roads to start your driving lessons. Even if you have had some driving experience before, it’s good to have a few minutes to warm up and get your feet and brain working together. If you are a complete beginner driver there is no need to worry. Your driving instructor will start your moving off and stopping driving lessons on one of the nearby wide and quiet side roads. Here you will have time to perfect those hill starts and develop your driving skills without the pressure of other road users getting in your way. On your Driving Lessons in Kenley your driving instructor will structure your lesson plans to suit your individual needs. This will help to get the best out of each lesson saving you time and money. 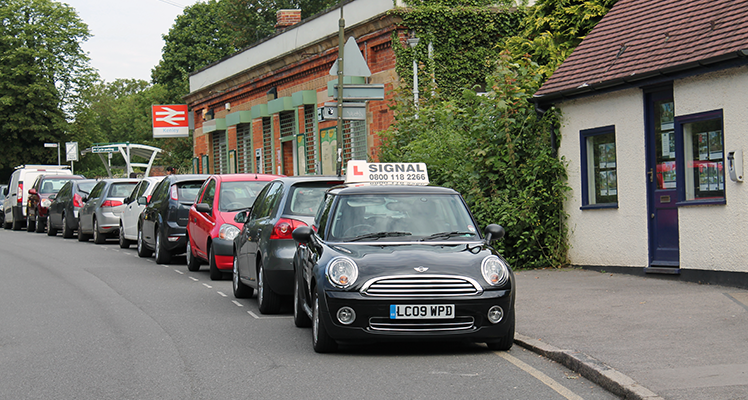 Our driving instructors have excellent local knowledge of Kenley and are able to guide their driving students, enabling them to easily negotiate the local roads in Kenley. One of the many driving lesson plans you will cover on your driving lessons is meeting traffic. Kenley is an ideal place to learn this. With roads such as Northwood Avenue and Valley Road leading into Beverley Road there are usually vehicles parked on both sides of the road. Here you will be able to learn and develop the driving skills needed if oncoming vehicles approach. You will need to be able to assess if there is enough room to pass the parked vehicles safely, who has priority, adjust speed to avoid both vehicles meeting head-on and identify where you or the oncoming vehicle(s) can hold back and wait. Hayes Lane will provide learner drivers with opportunities to gain confidence with driving along narrow lanes. With 20mph speed limits by the local school to higher speeds of up to 40mph passing Kenley Aerodrome. With the A22 Godstone Road on Kenley’s doorstep, your driving instructor will be able to guide you to driving at higher speed limits of up to 70mph along nearby Godstone Hill A22. All our Driving Instructors in Kenley are CRB checked and registered with the DSA (Driving Standards Agency).